Matball, a game similar to kickball, is a popular game at Nissitissit. Instead of using regular bases, large mats are used for 1st, 2nd, and 3rd. One of the basketball keys is home plate. Once students get to first mat, they can choose to stay or advance. Multiple students can be on a mat the same time. If you kick the ball and it hits the back wall of the gym, it is a home run. And if you kick the ball and goes through the far basketball hoop, it is a GRAND SLAM. Last week, Nate Galvin kicked a perfect shot. Without touching the backboard, it dropped through the hoop with a SWOOSH. The fifth graders erupted with cheering from both teams. It was an exciting moment in our gym. 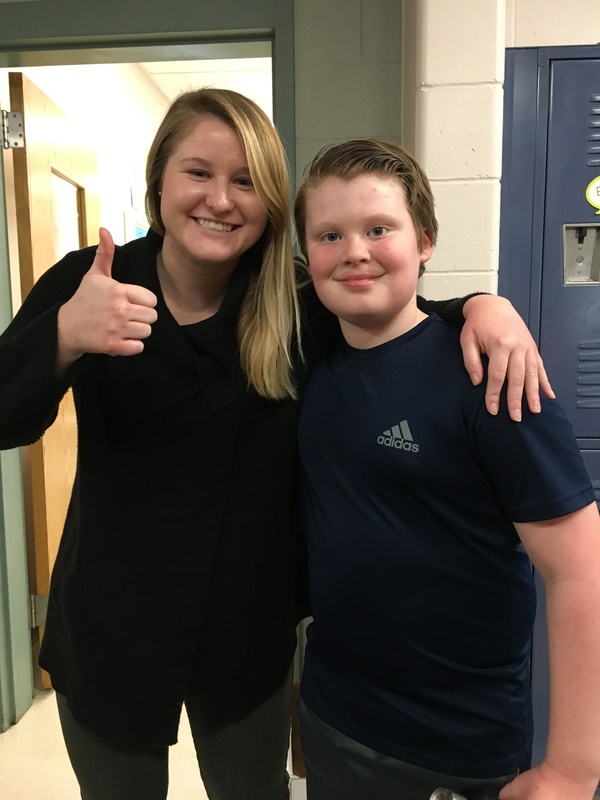 Only two others have earned a GRAND SLAM: Kaden, a current 8th grader and grade 5 teacher, Ms. Hall. Way to go Nate! Amazing shot!! Great job. And matball sounds like a lot of fun.